• U-Grooves are very precisely laser milled to maximize spin on scoring shots especially out of the rough, sand and in wet conditions. 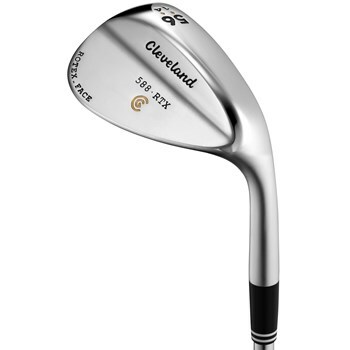 • Inspired by the popular CG15 wedge, preferred by many tour players and amateurs. • Wider sole width near the heel, narrow sole width near the toe improves bunker performance. • Directionally milled face pattern imparts maximum spin on open face wedge shots. • Advanced surface roughness technology is now more durable and dimensionally optimized for even more friction at impact. • Satin chrome finish reduces glare.